Ruby Elliot is a twenty-something person and self-taught illustrator from London. She likes dogs, jam and shouting. A few years ago she started creating cartoons and drawings and posting them online under the name ‘Rubyetc’. Since then they have been shared by quite a few people from quite a few places, including the BBC, Mind, Buzzfeed, the Huffington Post, her mum and more she can’t remember because she is still learning how to write a good author bio. 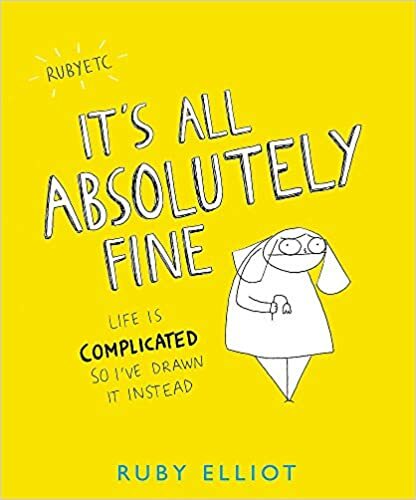 Her first book, IT’S ALL ABSOLUTELY FINE, is an illustrated account of what it’s like living with mental health issues.